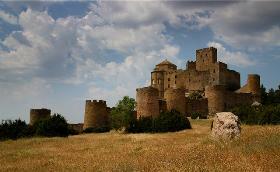 Loarre castle is a fortress in Loarre, in the Huesca province, Aragon, Spain. 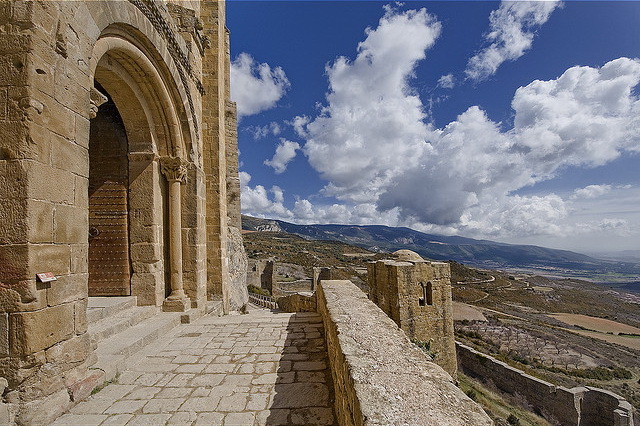 It commands a magnificent situation in the foothills of the Pyrenees overlooking the vast plains of Sotonera south to Huesca and beyond. 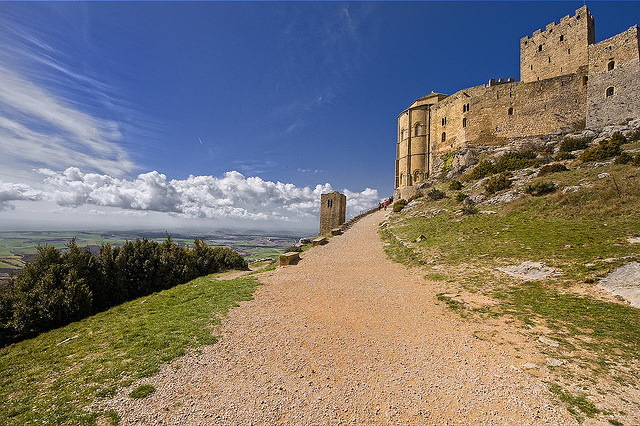 The Loarre Castle complex was built largely during the 11th and 12th centuries, when its position on the frontier between Christian and Muslim lands gave it its strategic importance. The first of the two major building programmes began around 1020, when Sancho el Mayor (1063–194) reconquered the surrounding lands from the Muslims. At least three towers, two of which survive, the Torre del Homenaje and the Torre de la Reina, as well as a chapel dedicated to S María de Valverde and connecting walls are attributed to this campaign. The Torre del Homenaje was built in an isolated position in front of the fortifications, to which it was connected by a wooden bridge. It contained a basement and five floors. 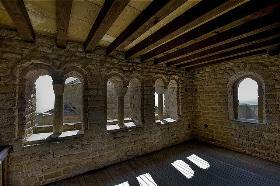 The Torre de la Reina, comprising a basement and three floors, is particularly noteworthy for three sets of twin-arched windows, with columns of exaggerated entasis and trapezoidal capitals that have been related to both Lombard and Mozarabic architectural forms. 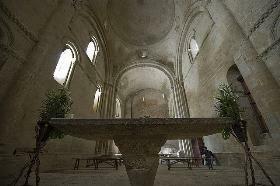 The chapel is composed of a single-cell nave with an eastern apse covered by a semicircular vault. The original timber roof of the nave was replaced by a vault at the end of the 11th century. After 1070 Loarre became increasingly important. 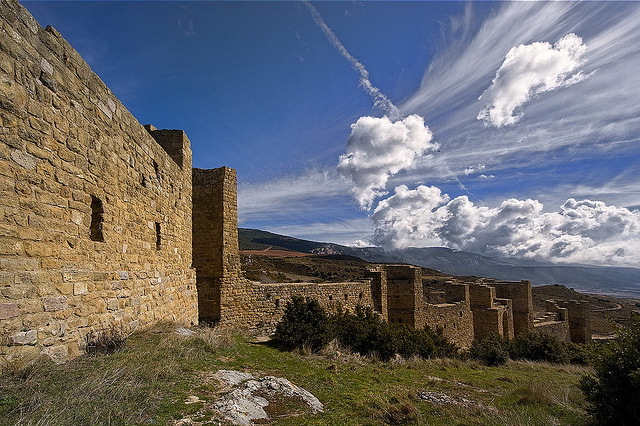 In 1073 King Sancho installed a community of Augustinian canons, and it was from Loarre that he prepared for the conquest of Huesca in 1094. 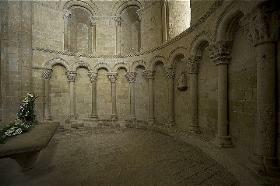 In 1097, however, his successor, Peter I, donated all the goods of Loarre to a new royal monastery at Montearagon. This evidence suggests that the second major construction programme was undertaken between 1073 and 1097, and much building evidently does date from this period. 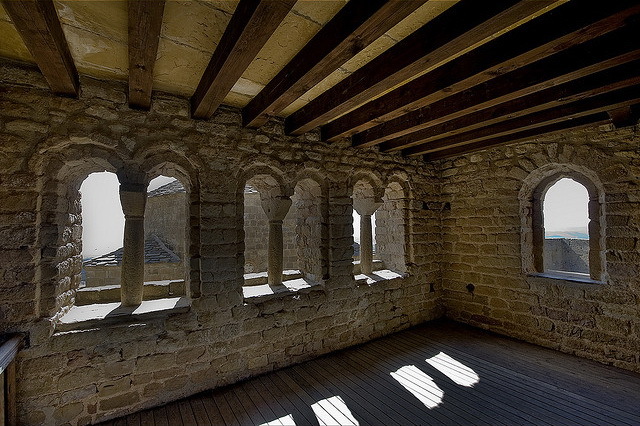 By comparison with other monuments, however, it is also clear that the building and decorative programme continued into the 12th century. The outermost walls of Loarre Castle and their eight towers were erected in the 13th or 14th century. The church and castle have been the subject of numerous restorations, a major one in 1913 and subsequent ones, particularly during the 1970s, have resulted in the rebuilding of many walls and towers that had fallen into disrepair. 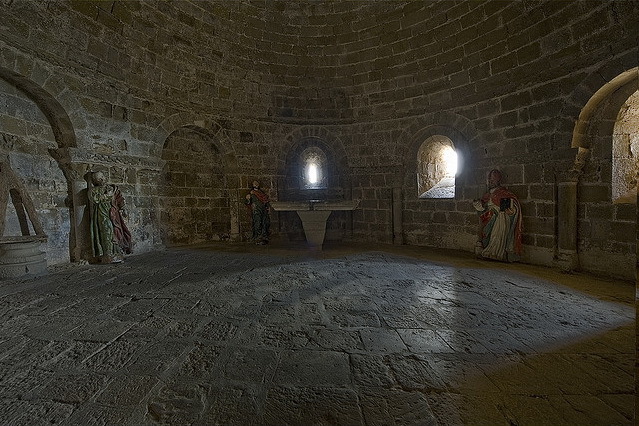 The most impressive monument of the second building campaign is the castle church, built to the east of the chapel and dedicated to the Saviour and St Peter. 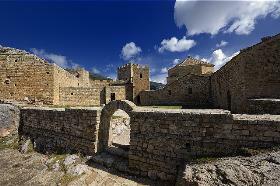 It was built over and it defines a new entrance to the castle complex, and it has a fortified appearance, with walls rising dramatically to the level of the fortifications. 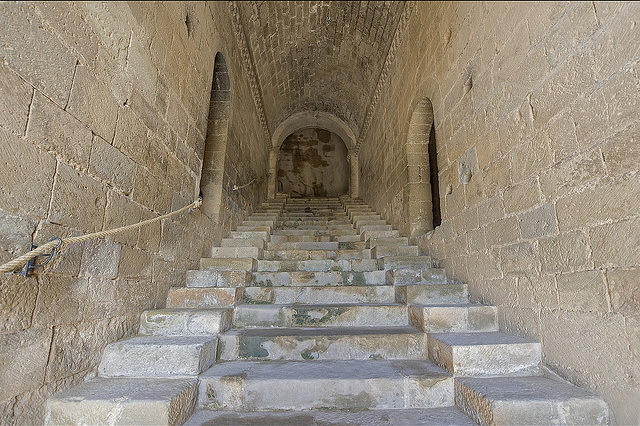 On the south a portal provides access to an impressive barrel-vaulted stairway that runs under the width of the church, leading to a doorway in its north flank. 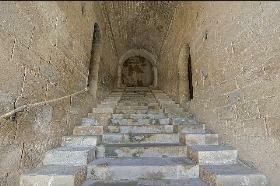 To the left of this long passage is a chamber, probably a guards’ room, and to the right, the crypt of the church. 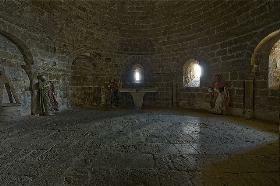 The crypt is vaulted and is decorated by a wall arcade supported on columns with carved capitals. Two stairways give direct access to the church. 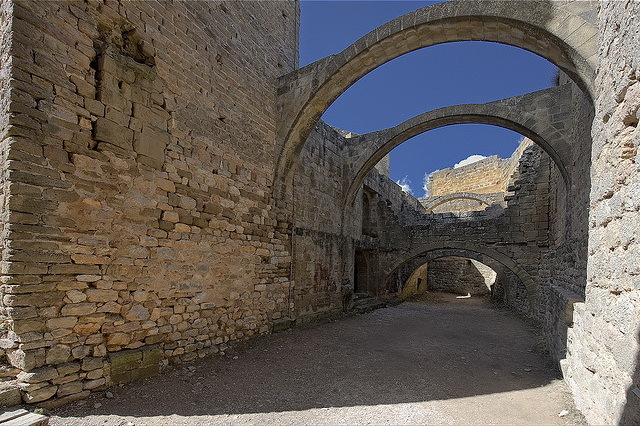 The Loarre Castle's church is composed of a single-cell nave of two bays, one barrel-vaulted and the other covered by a cupola rising above double squinches . The impression of great height is accentuated by the addition of four oculi placed above the arches supporting the dome. There is little evidence to suggest that the unique double squinches are not an original feature, and their only purpose seems to be a means of increasing the sensation of height, although some scholars have interpreted their architectural form as a reflection of the elaborate vaulted and domed coverings of the Muslim architecture of Spain. 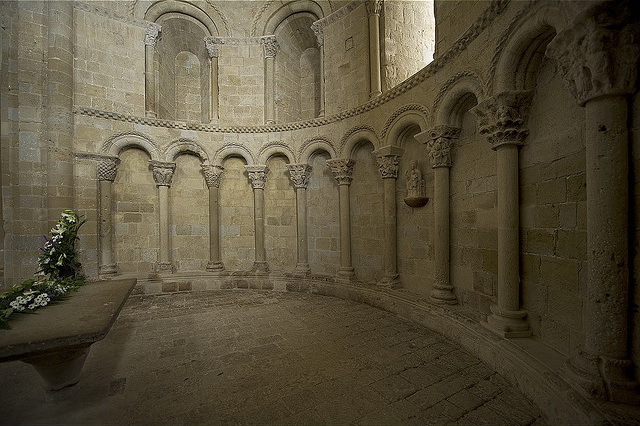 The vaulted apse is decorated with arcading: an upper row of five arches and a lower of thirteen. The decorative repertory of the church, in the general use of the torus around doors and windows articulated with billet bands, suggests a connection to Jaca Cathedral, a link that is confirmed by such sculptural details as the use of a feathered projection on the edges of some capitals; there is also a clear parallel between an impost block of the apse arcade and one from the chapter house of Jaca.